Microeconomics, or price theory, explains how the interaction of supply and demand in competitive markets creates a variety of individual prices, profit margins, wage rates, and rental changes. Microeconomics assumes that people behave rationally, and that consumers generally spend their income in ways that give them as much pleasure as possible. For their part, capitalists are viewed as seeking as much profit as possible from their operations. Macroeconomics deals with modern explanations of national income and employment. British economist John Maynard Keynes (1883–1946) explains macroeconomics as the total or aggregate demand for goods and services by consumers, business investors, and governments. The study of the economics of pollution as it relates to the environment must begin with an understanding of the nature of the economic system. This starting point is essential to any analysis of pollution economics because the basic cause of environmental problems is a specific type of market (economic) system failure. All economic systems that are formulated by various economists consider four central objectives: efficiency, equity, stability, and growth. Efficiency and equity concern the processes of production and consumption (and are concepts that fall under microeconomics). Stability and growth apply to the overall performance of an economy (and are concepts that fall under macroeconomics). When analyzed economically with regard to pollution (or any other subject), these four goals must be considered as interrelated. Efficiency. The concept of efficiency is defined as the maximum consumption of goods and services given the available amount of resources. Perfect efficiency occurs when the market resolves all production and consumption decisions so that the market allocation of resources is such that all goods are being produced at the lowest possible cost. No government intervention is necessary in this scenario. In the complex U.S. economic system, perfect allocation efficiency is impossible. One of the critical conditions for the analysis of pollution economics is that all costs and benefits be registered (or known) in the marketplace. With regard to pollution, environmental damage has resulted when all costs have not been recorded in the marketplace, either because they were ignored or, more recently, due to the fact that these costs cannot be properly defined. For example, the price of a gasoline-powered vehicle does not include the indirect costs that result from its production and use, such as air pollution and resultant health care. When such environmental damage is defined, then the government must intervene by regulating pollution, funding sewage treatment plants, and other such unmeasured production costs. Equity. The concept of equity refers to the just (or equitable) distribution of total goods and services among all consumers. People own resources (such as their expertise and talents, along with property and land) that can be used in the production process. The more resources an individual owns, the more income that individual usually generates. This equitable distribution of income does not always hold in the real world. Economists, so far, have not developed a good theory of "equitable income distribution." As a result, equity considerations are generated on a need-by-need basis, usually by government actions such as minimum wage laws, social security benefits, and unemployment insurance. The correction of existing pollution problems involves equity issues. What is fair to all those involved? The value of human and physical resources will be affected by changes in environmental regulations. For example, if a coal mine is forced to close because of environmental abuses, its workers will suffer. However, other local employees who work at the hydroelectric power plant will benefit directly with better wages and indirectly with cleaner air, water, and land. The coal mine workers will not consider this new arrangement very "equitable" in the redistribution of income, nor will the fishing business sector when fish cannot travel up the river past the dams to reproduce. Stability. The concept of stability is defined as a system's ability to maintain a balance. A real-life economic system, such as in the United States, tends to be unstable. Adjustments in monetary and fiscal policies at the federal, state, and local levels are constantly being made. These policies are essential in order to strive for full employment and price stability. Improvements in pollution control and prevention have far-reaching implications in economic stability. Large capital expenditures may be required for companies to install new pollution abatement equipment as ordered by the government. This action forces new capital and operating costs on such firms and—if large enough—can subject the macroeconomic system to instabilities. Growth. 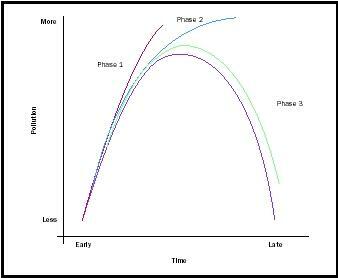 The concept of growth refers to a system's ability to increase in size or intensity. The ability to regularly achieve economic growth must be present in economic systems. Standards of living will increase as long as the rate of output growth exceeds the rate of population growth. Again, a government acts within an economic system to provide ways (such as tax laws to promote the creation of capital goods) to provide stability. Growth is the one goal that has been viewed critically by environmentalists. The more growth an economy generates, the more pollution it also generates. In theory, the more restraint that the government places on industry with respect to pollution controls, the more likely it is that those companies will decrease their growth rate. Society is then faced with a choice: more goods or less pollution. In fact, the U.S. economy demonstrated robust growth over the past several decades, despite an array of environmental laws and regulations that have cut pollution significantly. One of the basic economic approaches is marginalism. This approach seeks a level of operation of some activity that will maximize the net gain from that activity (which is the difference between its benefits and costs). During any activity, the benefits and costs increase, but because of diminishing returns, costs will generally rise faster than benefits. At its maximum level, marginal costs (the cost of increasing the activity) equal marginal benefit (the benefit of increasing the activity) so the activity is said to be optimized, or maximized. In other words, further expansions will cost more than it is worth, and further reductions will reduce benefits more than it will save costs. Pollution. Marginalism is easy to apply to pollution in the theoretical sense. Unfortunately, it becomes difficult to apply in the real world because of the inability to accurately estimate the cost and benefit functions of pollution. Realistically, pollution is not a question of "having" versus "not having," but rather what level is optimal. This is where marginalism can prove useful, when used accurately and when taking into account all facets of the problem. Even in this context, reducing the level of pollution will affect other areas. For example, manufacturing car tires that last about 64,000 kilometers (roughly 40,000 miles) at a cost of $200 might contribute 3 percent to the smog in Detroit, Michigan, whereas manufacturing tires that survive approximately 96,000 kilometers (60,000 miles) at a cost of $300 might add 9 percent to Detroit's smog. Even though the consumer is able to buy tires that last 20,000 miles (or 50 percent) longer and only cost $100 more (representing an increase of 50 percent) than standard tires, it is not as good a deal for the smog count, which triples from 3 to 9 percent. decisions is known. If a manufacturer made a product with thorough knowledge of all costs of production, including environmental costs, then ideal decisions could be made. But, of course, this is not possible. The efficiency of the competitive market depends on private costs (such as direct manufacturing expenses) and social costs (such as resulting pollution) being the same. When they are not equal, and when some of the costs are not known (i.e., some costs of pollution), the competitive market is not able to run at its maximum social efficiency. Thus, the failure to factor in all costs and benefits in the market can lead to pollution and environmental deterioration. Such inefficiencies of the market have produced pollution in many forms, including greenhouse gases and radioactive wastes. U-shaped hypothesis. A widely held view by environmental economists is that economic growth does inevitably lead to the increasing pollution of air, water, and land. However, a diversion of resources to pollution control and general environmental objectives will eventually follow. That is, as prosperity increases (based on rising gross domestic product per capita), a more closely watched environmental program slowly replaces the former lack of concern with the environment. Evidence of this inverted U-shaped graph is already clear in many developed countries, such as the United States and England. See the graph for an an illustration of the hypothesis. Graph developed by Professor Elizabeth Bogan at the Princeton Department of Economics. decrease along with increasing growth. Measures to counteract pollution are instituted, such as sanitation, treatment, regulations, and zoning. 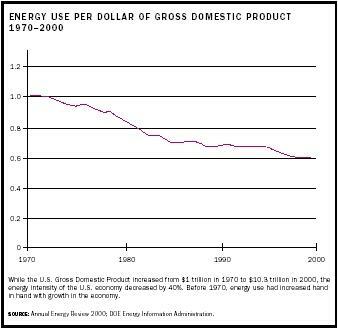 Annual Energy Review 2000; DOE Energy Information Administration. runoff were just as guilty. On the positive side, sufficient data are available that can be used to evaluate the major sources of pollution. One way to measure pollution is to place a price on it. Under such a system, anyone could emit pollution as long as one paid a set price for it. In this way, an approximate marginal social cost of pollution is established and decisions can be made based on that knowledge. Pricing pollution can simplify the process of dealing with pollution, and in the long run, provide a comprehensive and efficient way of handing the problem. Any effort to restore and maintain the integrity of the environment imposes a burden on society with respect to additional costs. The magnitude and complexity of those costs are of great importance. To understand these costs and the benefits that a better environment can provide to society, economists study and analyze pollution through the methods of environmental economics. By doing this, society, in general, is forced to question the relationship between the institutions of society and the environment. In no certain terms is that relationship an easy one to study; it also makes a final determination of short-term—and even more difficult—long-term solutions hard to ascertain. How can society best establish a high quality of life? The answer might be to enjoy pure mountain streams, breathe in clean air, and hike in pristine forests; the answer, however, might also be to enjoy good food and drink, comfortable housing, and convenient transportation systems. Environmental economics helps to determine the combination that individuals or groups believe is most desirable. SEE ALSO C OST-BENEFIT A NALYSIS ; E NERGY E FFICIENCY ; E NFORCEMENT ; E THICS ; L IFESTYLE ; NAFTA (N ORTH A MERICAN F REE T RADE A GREEMENT ) ; P OVERTY ; W ASTE , I NTERNATIONAL T RADE IN . Burrows, Paul. (1980). 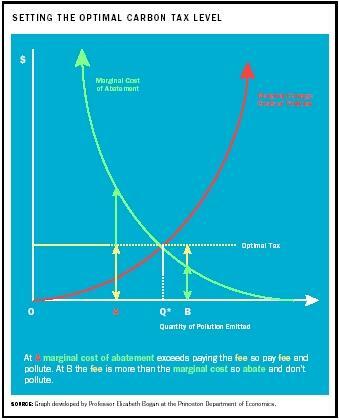 The Economic Theory of Pollution Control. Cambridge, MA: The MIT Press. Gilpin, Alan. (2000). Environmental Economics: A Critical Overview. Chichester, UK: John Wiley & Sons. Pearson, Charles S. (2000). Economics and the Global Environment. Cambridge, UK: Cambridge University Press. Seneca, Joseph J., and Taussig, Michael K. (1984). Environmental Economics, 3rd edition. Englewood Cliffs, NJ: Prentice Hall. Siebert, Horst. (1987). Economics of the Environment: Theory and Policy, 2nd edition. New York: Springer-Verlag. Silverstein, Michael. (1993). The Environmental Economic Revolution: How Business Will Thrive and the Earth Survive in Years to Come. New York: St. Martin's Press. Tietenberg, Tom. (1988). Environmental and Natural Resource Economics, 2nd edition. Glenview, IL: Scott, Foresman and Company. Global Network of Environmental Economists Web site. Available from http://www.feem.it/gnee .